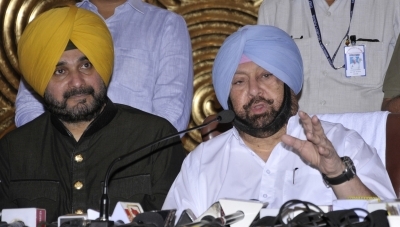 Amritsar, Aug 14 (IANS) Punjab Chief Minister Amarinder Singh on Monday announced welfare and development schemes for Amritsar, including a Rs 3,000 crore World Bank-aided project to provide safe drinking water in the Sikh holy city. The Surface Water Scheme will replace the existing Ground Water Based Drinking Water Supply Scheme, thus addressing a serious concern of the region, which is facing severe depletion of groundwater and cases of vector-borne diseases, he said at a press conference here. Amarinder Singh also announced several new development projects, entailing a total cost of Rs 556.90 crore, for Amritsar, which is being developed as a Smart City with a Rs 200 crore investment, of which Rs 100 crore will be shared by the state government. He also announced the establishment of a Directorate of Fire Services at the state level in the city, along with 50 per cent seat reservation for women in Urban Local Bodies, in line with his government’s decision to make such reservations across the state.